All teams must buy new uniforms every 2 years. 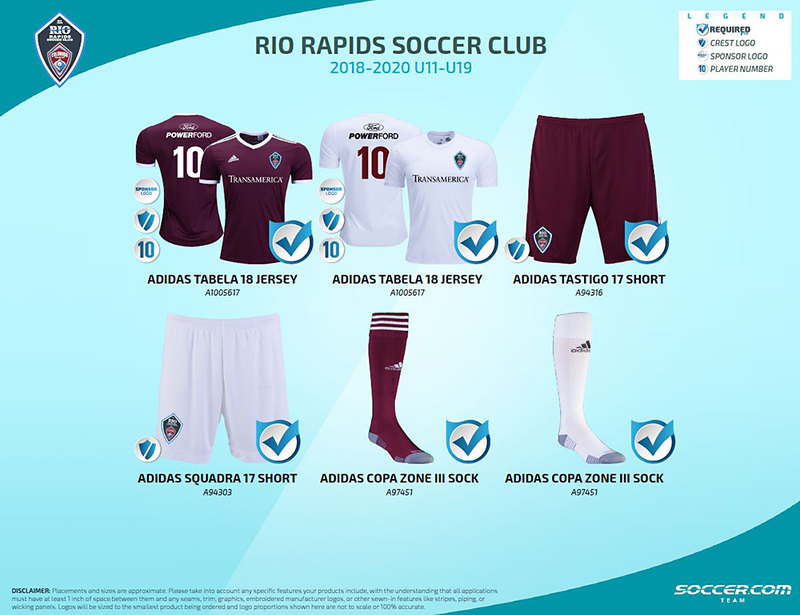 U7/U8 players Visit Soccer.com Site to order uniforms (U5/U6 uniform is optional). Team manager contacts Jason Moran (Executive Director Rio Rapids jason.moran@riorapids.org) to be added as a Uniform Admin with Soccer.com. 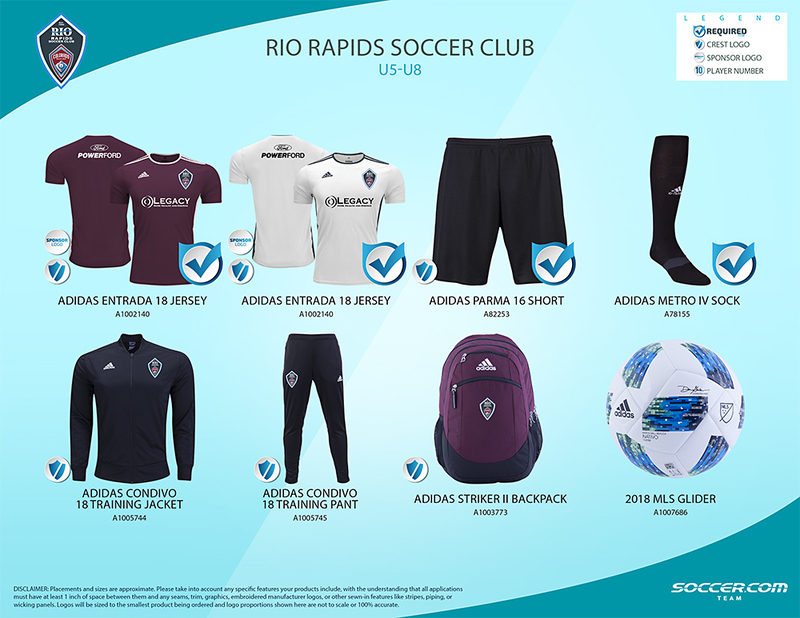 Manager then receives E-mail from Soccer.com that allows them to set up a team account in Soccer.com. Players are added by the manager and then each player will receive an Email from PlayerPASS program so they can order. How to order with PlayerPass from SOCCER.COM on Vimeo. 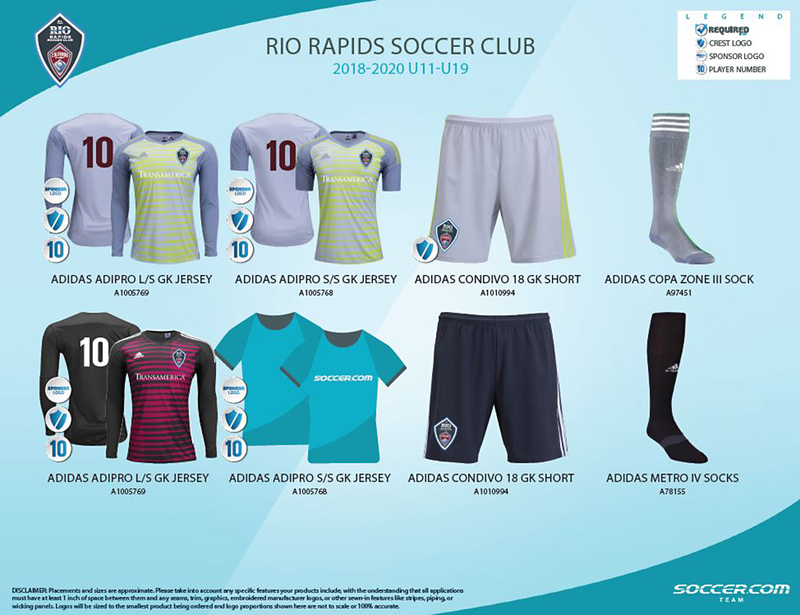 Support the Rio Rapids on the sidelines with spirit wear! 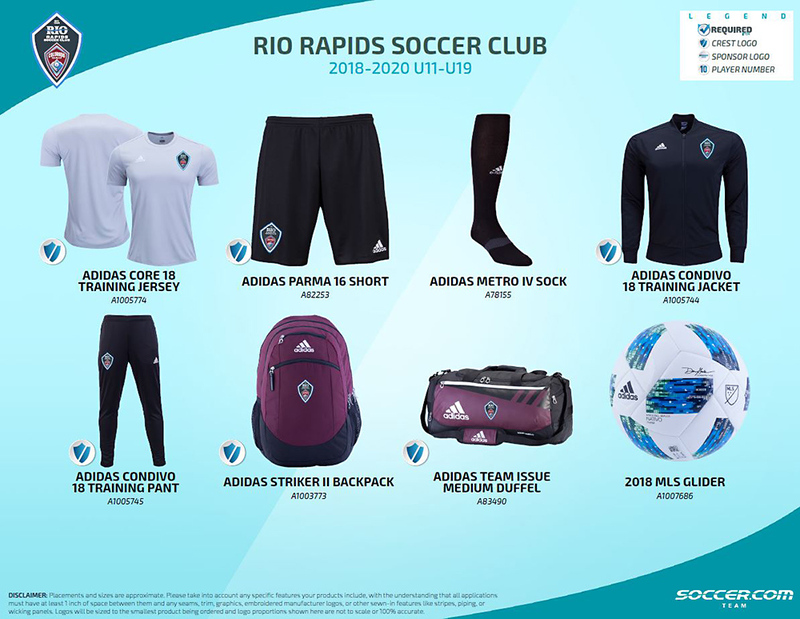 Mention that you are a Member of the Rio Rapids SC for a Club Level Discount!